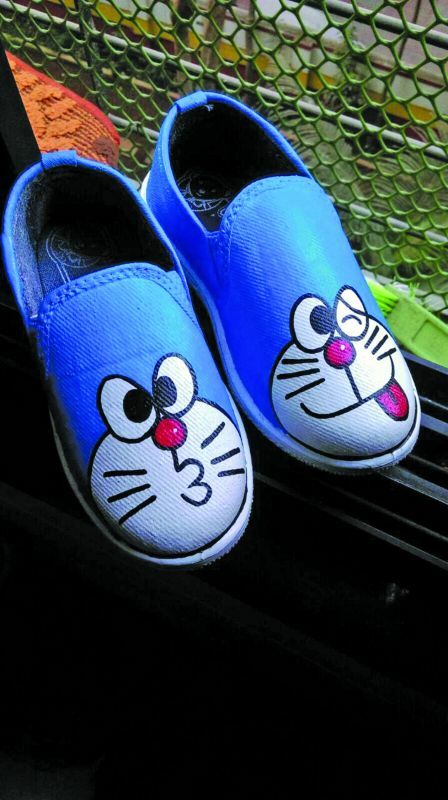 Youngsters in the city are now opting for customised hand-painted sneakers to add a quirky twist to their outfits. The duo hand-paint and sell customised shoes and each shoe is made to order. 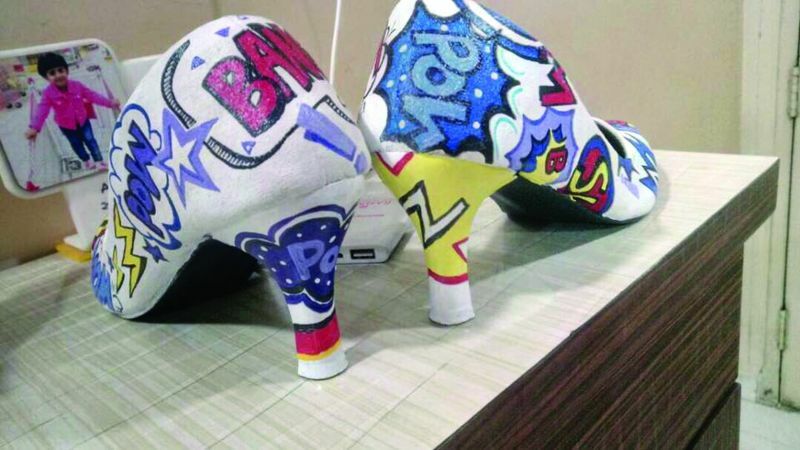 Srishti Bagaria did not have the heart to throw away her worn out sneakers and decided to revamp them by painting them in distinct hues. What was meant to be a hobby, soon turned into a business for this 26-year-old fashion stylist. Today, she hand-paints shoes at the demand of her clients. Why pay an obnoxious amount for a pair when you can get quirky customised designs and vibrant colours at a price that won’t burn a hole in your pockets? 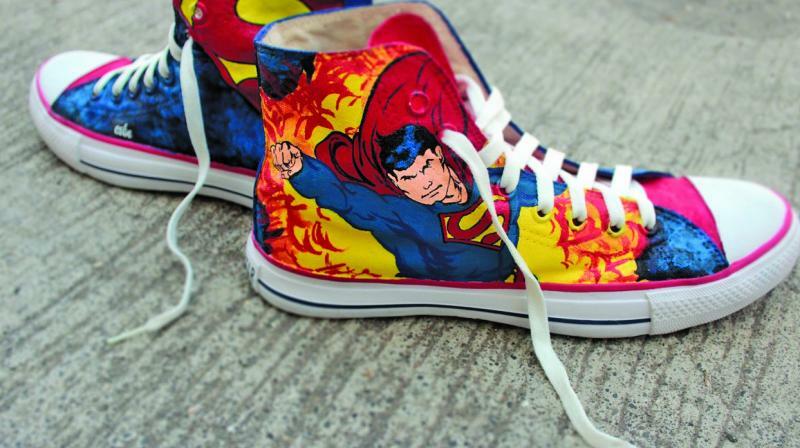 Right from popular cartoon faces, famous superhero characters to pretty bridal sneakers, youngsters in the city are opting for customised hand-painted alternatives to their usual sneakers. “My friends loved the way the shoes looked and I received a lot of appreciation for the same, some of them wanted me to revamp their old shoes and it eventually spiralled to a business,” says Srishti, who has sold over 100 distinct designs so far under her brand name Esbe. Just like Srishti, Dhanashree Nair and Chandani Menon are two young girls who juggle with their daily jobs to fulfil their creative pursuits. The duo hand-paint and sell customised shoes and each shoe is made to order. “There is always a sense of charm and quirkiness associated with hand painted shoes. 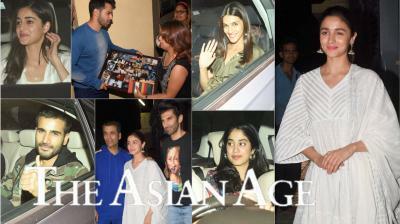 Youngsters love their favourite characters and don’t mind sporting it with their regular attires, the colours add a pop to their outfit,” reveals Dhanashree. The girls use good old canvas shoes or popularly called ‘PT shoes’, Converse or Vans to paint on. “We take about five to seven days to paint the shoes, because we work only on weekends. We give ourselves the space to work on the designs, our clients are free to choose from the catalogue of designs which we have and can also suggest their own, we use acrylic and fabric paint to achieve the desired results. 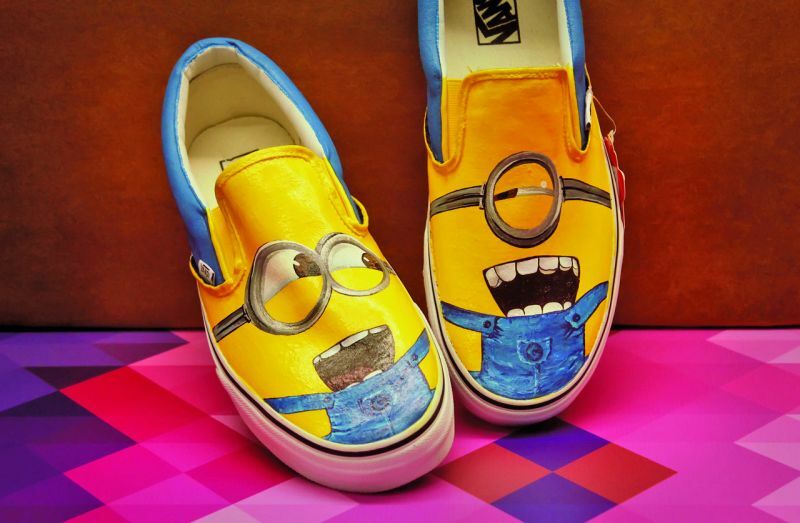 We have a wholesaler who supplies the shoes and if customers want branded sneakers to be painted, the prices vary; the designs differ from size to size and start at `1,000 for a pair. A popular variety widely sold are the minions,” Dhanashree says. 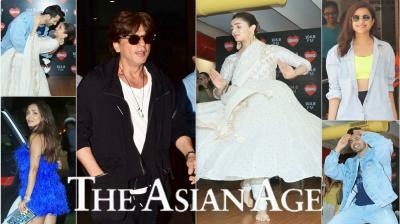 A trend that is fast catching up is having customised bridal shoes, reveals Srishti. “We have a doodle variety of bridal wear which is gaining a lot of momentum, it makes for a beautiful customised gift. The sneakers are painted in a way, which showcases all the particular character traits of the bride, her likes and dislikes and the things she enjoys the most. It makes for a nice gifting option,” she shares.